A Machine Learning approach that is much more precise at classifying traffic and application compared to port-based solutions. Get domain information even for Encrypted traffic. Track bandwidth usage per application, including HTTP and HTTPS services. Spot congestion easily. 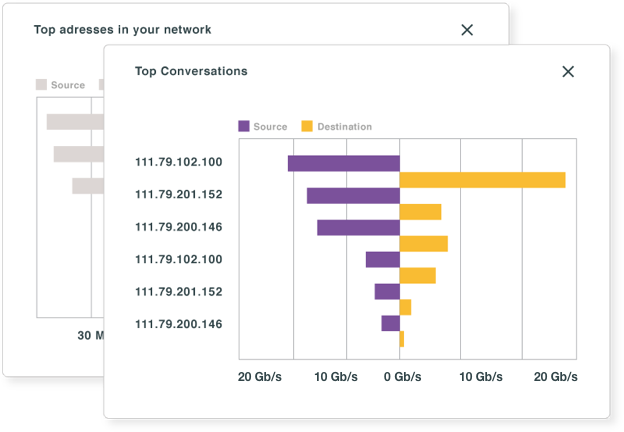 Gain a general understanding of your network traffic flow. Create logical traffic views as needed. Focus in subnets, interfaces, ports, data centers, physical locations, or any other criteria that fits your goals. Tell where your traffic comes from, and where it goes, in geographical terms. 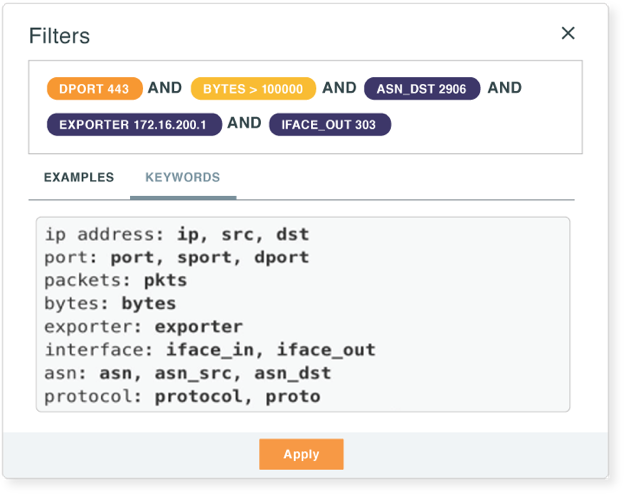 Get flexible analysis, for instance by filtering out per-application, and find if DNS traffic is being redirected to an unusual location. Get periodic reports, or generate one-off reports, covering the data of your interest. They can be sent automatically by email to involved parties. As a resell ready solution, Talaia can be customized with your company's branding, that along our built in multitenacy, make it the ultimate added value solution to your portfolio. Both white-labeling and multitenacy are available on the SaaS/Cloud and On-Premise models.